A big line of attack on the socialist revolution in the Soviet Union of 1917-56 concerns the famine that took place in Ukraine in 1932-1933. Anti-communist historians, Ukrainian nationalists, and the Western media in general charge that Joseph Stalin, who led the Soviet Union from 1927 to 1953, deliberately starved the people of Ukraine. The charge that Stalin wanted to punish and wipe out large numbers of Ukrainian peasants by denying them grain is a lie. There was a terrible famine in Ukraine and other regions of the Soviet Union. And many died. But this famine was mainly caused by a decline in grain production, which was mainly caused by weather and other natural factors. The food shortages, however, became worse because of errors in government policy. A major line of attack against communism—and one of the biggest lies about communism—is that millions and millions of people have been persecuted and killed by communist states, notably in the former Soviet Union and Maoist China (1949-1976). A whole industry of anticommunist books and articles pumps out staggering and horrifying death tolls. These claims are repeated endlessly... and then presented as established, un-debatable fact. All this is for the purpose of convincing people that communism may have noble ideals... but leads to nightmare. There is a basic reason that the capitalist-imperialist system churns out all kinds of lies and misrepresentations of communism. Because communism is completely opposed to the savage exploitation, oppression, and inequalities that the capitalist system is rooted in, thrives on, and extends and deepens all over the world. Further: this memo on the “horrors of communism” is coming from the most barbaric economic-social system in human history. A system whose mother’s milk was the transatlantic slave trade, with millions upon millions torn from Africa and enslaved in the "New World" of the Americas to produce the wealth vital to the development of world capitalism—suffering constant, unspeakable terror and brutality for generations. This narrative about “communism as unrestrained state violence” is coming from a system that has functioned through systematic and grisly state violence—including two world wars in the 20th century that led to more than 100 million deaths. 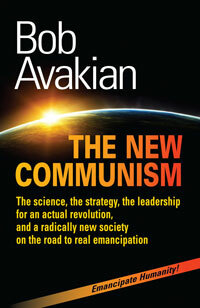 The eBook is available from Insight Press and other vendors. As to the charge of mass loss of life under communism, the truth is that these revolutions saved lives. The victorious 1917 October Revolution in Russia immediately withdrew Russia from World War 1—in which millions of ordinary people engaged in mutual slaughter in the interests of the imperialists, including Russia’s tsar (autocratic royal ruler), who ruled using secret police, jails, and surveillance. Under its program of “land, bread, and peace,” the Bolshevik revolution (the revolutionary communists in Russia were known as "the Bolsheviks") led people to change the dire condition of society—the brutal poverty and persecution of workers in the cities, the crushing traditions, enforced ignorance and superstition weighing down the majority peasantry. The humanity and liberation of bitterly oppressed women and minority nationalities were put front and center in society—through measures such as access to safe and legal abortion and full social-political rights, through outlawing and campaigning against patriarchal violence, like wife beatings; and an end to vigilante violence (e.g., pogroms—persecution and massacres common against Jewish people in the old Russia). But revolution does not take place in a vacuum. No sooner had the Russian revolution come to power than the imperialists moved against it—arming and assisting counter-revolutionary forces in Russia, leading to the brutal civil war of 1918-20 that resulted in massive deaths, disease, and near economic collapse. And the imperialists never let up, with Germany invading the Soviet Union in 1941, leading to the loss of over 25 million Soviet lives. China before the 1949 revolution was a society wracked by famines in the countryside, with desperate poverty and deprivation in the cities too; in Shanghai, 25,000 bodies were picked up off the streets each year—a country of 500 million with only 12,000 doctors trained in modern medicine. The killing of girl babies was widespread, as was the practice of women being forced into arranged marriages. The communist revolution led by Mao Zedong ended these and countless other nightmares. “Women hold up half the sky” became society’s orientation and their full participation in society was fought for. From 1949 to 1976, when China was socialist, life expectancy rose from 32 to 65 years. Resources were developed and channeled to serve the great majority. A universal health care system, the world’s most egalitarian, was created with the active participation of masses of people. Amartya Sen, the Nobel Prize-winning economist, calculated that if capitalist India had the same health care system as China did under Mao, then four million fewer people would have died in India in a given year. That works out to some 100 million needless deaths in India from 1947 to 1979. Slave rebellion or slave master? Do you support the oppressed rising up against the oppressive system and seeking a radically different way, even with certain errors and excesses—or do you support the oppressors, and the leaders and guardians of an outmoded oppressive order, who may talk about “inalienable rights” but bring down wanton brutality and very real terror, on masses of people, to enforce and perpetuate their system of oppression? Yes, in the Russian and Chinese revolutions, there was death and destruction—and excesses, even grievous ones, occurred. But all this was in the context of the oppressed and exploited fighting to get free and creating the world’s first socialist societies... while facing internal and external threat, and having very little experience to learn from. But we are not in the same place. 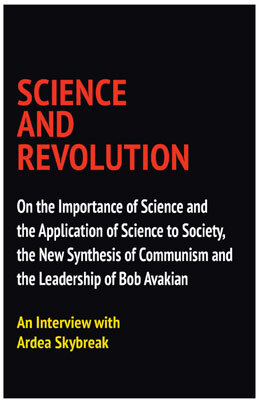 With the new communism developed by Bob Avakian, there is the scientific framework to understand the great achievements and the mistakes of these revolutions... and the scientific framework to go further and do better in a new stage of even more emancipatory communist revolution. Suppose you were told that 650,000 people died during the American Civil War of 1861-65 (equal to 7.5 million deaths in today’s U.S. population). Incredibly high, and true. But then you are told: Abraham Lincoln was a “mass murderer,” having stubbornly presided over the slaughter of hundreds of thousands. That is not a scientific statement. The body count doesn’t tell you what the causes and clashing objectives of the Civil War were—what it was fought over—that slavery was the central question. So, too, with the Russian and Chinese revolutions. You can’t start with “body counts.” And you can’t start “in the middle of the movie”—like the battles of the American Civil War. 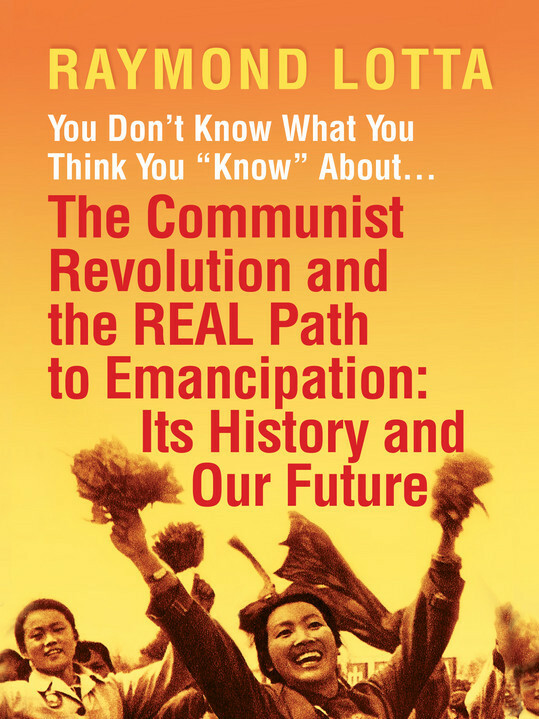 What were the socio-economic and political situations of the Russian and Chinese revolutions, the threats and real imperialist invasions, the counter-revolutions and civil wars, epic natural disasters, and the oppressive and exploitative societies that gave rise to these revolutions and the millions who literally cried out for emancipation? And how did the revolutionary leadership respond to challenges and obstacles, and what mistakes were made in dealing with these challenges? To get to what’s objectively true requires historical and all-sided analysis, including of the forces in collision. When the U.S. massively escalated the war in Vietnam in 1964, it manufactured a lie about an attack on a U.S. warship. 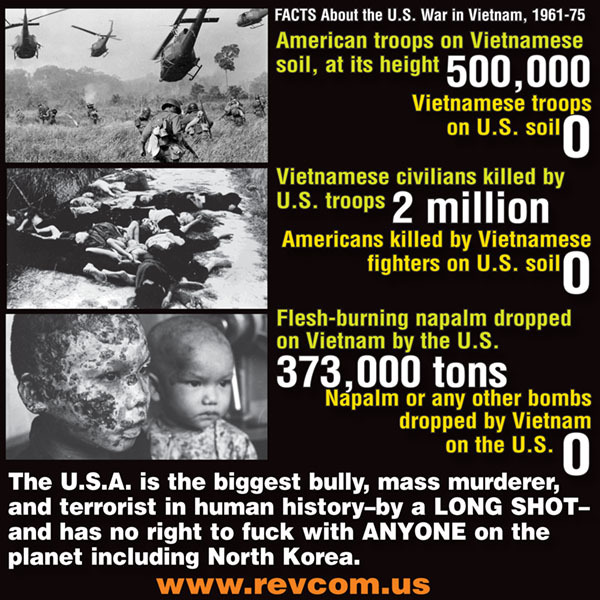 That lie was repeated by the media to justify a war that ultimately killed three million Vietnamese. When the U.S. invaded Iraq in 2003, it manufactured a lie, that Iraq had weapons of mass destruction, to justify the war—and hundreds of thousands died and millions were displaced. One example of this is the Great Leap Forward that took place in socialist China in 1958-1960. We will say more in upcoming “Refutations” about the tremendously liberating character of this movement and struggle to establish food security, to revolutionize economic and social life in China’s countryside, and to overcome inequalities, including longstanding patriarchal barriers facing women. This gets ignored, and what gets pumped out by mainstream media and by ideologues of the capitalist system is that during the Great Leap Forward, 65 million people starved to death because the revolutionary leader Mao Zedong was so hell-bent on keeping to his radical economic and social policies. The story continues, that this led to a famine—and since Mao didn’t care about human life, tens of millions died. This is a complete and scandalous lie. What is the truth? In 1959-1960, there were food shortages and deaths from famine. But this was mainly caused by unprecedented weather conditions—terrible drought and flooding, natural disasters that were common in China’s history. In response, famine relief measures were taken, and resources mobilized, by the socialist government to deal with the disaster and meet the needs of the people. The charge that 65 million died is based on unreliable data and statistical manipulation to attack socialism in China from 1949-1976. You can find out more about this and other ways that “death tolls” are inflated at the Set the Record website. But just because something is widely repeated and popularly believed does not make it true. Again: the historical reality is that no system has been as barbaric as capitalism—not only in numbers of needless and continuous deaths and human suffering, but in the crushing of the human spirit. Capitalism rules by an inherent and fundamental logic of ruthless competition and profit-driven expansion. Capitalism is based on a handful privately appropriating that which is produced through the interconnected efforts of hundreds of millions worldwide in socialized production. It operates on the basis of exploitation and the most vicious oppression. Capitalism worldwide brought exterminations and enslavement of indigenous/aboriginal populations. What of the colonial expansion and colonial wars such as Belgium’s conquest of the Congo that slashed the population by 10 million, or the four million and more killed in the recent civil wars in Congo fueled by imperial grab for resources? The “triumph” and maintenance of Western imperialist control in Asia, Africa, and Central and South America have “required” military conquest, invasions, coups, death squads, and drone wars. It has “required” the killing of three million during the Korean War... chemical and biological weapons in Vietnam... the slaughter of 500,000 to a million communists and sympathizers in Indonesia in 1965. Then there are the countless “routine” deaths caused by this system: women dying because of lack of access to safe abortion; the 16,000 children, mainly in the poor countries of the Third World, who die each and every day from preventable disease and malnutrition. And we now face, under Trump, the real and growing danger of nuclear war against North Korea that could spiral into global devastation. But we are fed the lie that this is the best and only of all possible worlds. Go here for the Introduction to the Set the Record Straight series, and a listing of refutations of more LIES.